(RRP £269.99). A unique high quality leather pencil skirt tailored in fine quality lambskin nappa. The skirt has an upper panel in leather, and the lower main body of the skirt consists of a combination of lycra and leather.. Fully lined. By Ashwood. 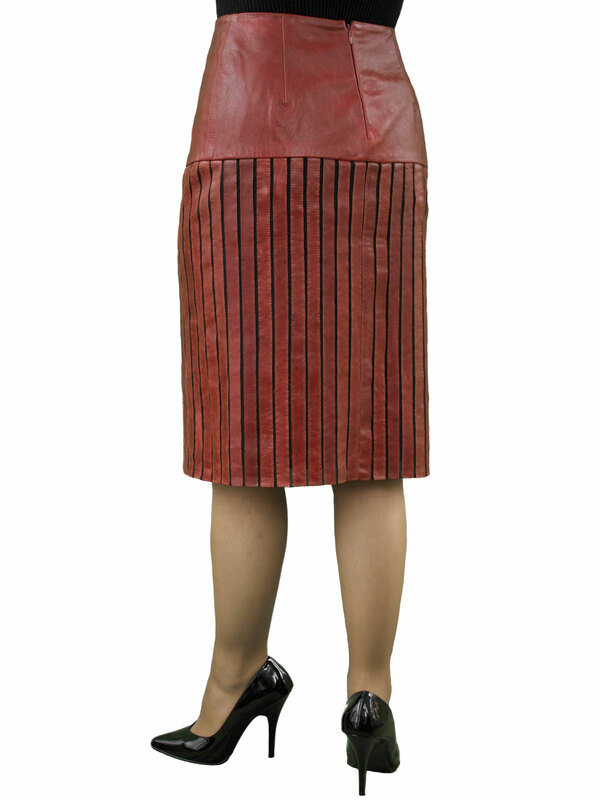 A smart-looking and well-tailored knee length leather pencil skirt in soft lambskin nappa. The skirt has an upper panel in leather, and the lower main body of the skirt consists of a combination of lycra and leather. This has involved a lot of workmanship and gives the skirt not only a unique and stylish look but also is less restrictive as it has some stretch as you move. Tailored for Tout Ensemble by Ashwood.